Da Capo Lifelong Books, 9780738209203, 144pp. Parents will welcome Brazelton's uniquely empathetic, wise, and helpful approach to this inevitable and often trying issue. Toilet training is a job for the child and not the parent, and by trying to force the issue or even encourage too hard, parents can set the stage for trouble. By "listening to the child," parents will know when their child is ready, and by guiding children in a series of gentle small steps, parents can help them make the accomplishment their own. 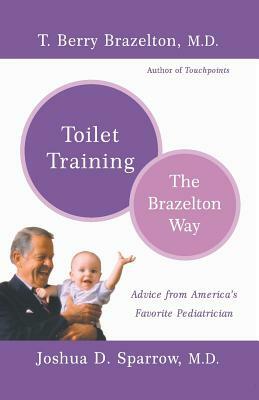 A generation and more of children have been trained "the Brazelton way," and now he and Dr. Sparrow have distilled this advice into one priceless little guide. They first lay out the Touchpoints approach to the issue (a "mistake" can mean the child is making progress on some other front), then discuss the timing of this big achievement, and finally deal with how to respond if problems occur. For parents who want to get past this issue cheerfully, with the least fuss and turmoil, this is the one and only book to get.